Collectively, Americans owe more than $1 trillion in credit card debt. The average household with credit card debt owes $16,883. Carrying a balance can be costly in the long-run: Thanks to exorbitant interest rates — the average APR is close to 17 percent — you could end up owing thousands of dollars in interest if you don't pay off your card in full. One San-Francisco start-up, Tally, wants to make your interest rate lower and your credit cards cheaper. Here's how the app works: If you get approved for a "Tally credit line" — you need to have at least a 660 FICO credit score to qualify — Tally will pay off your high-interest cards and then charge you a lower interest rate on the same balance. Your new rate is determined after Tally looks at your credit history. 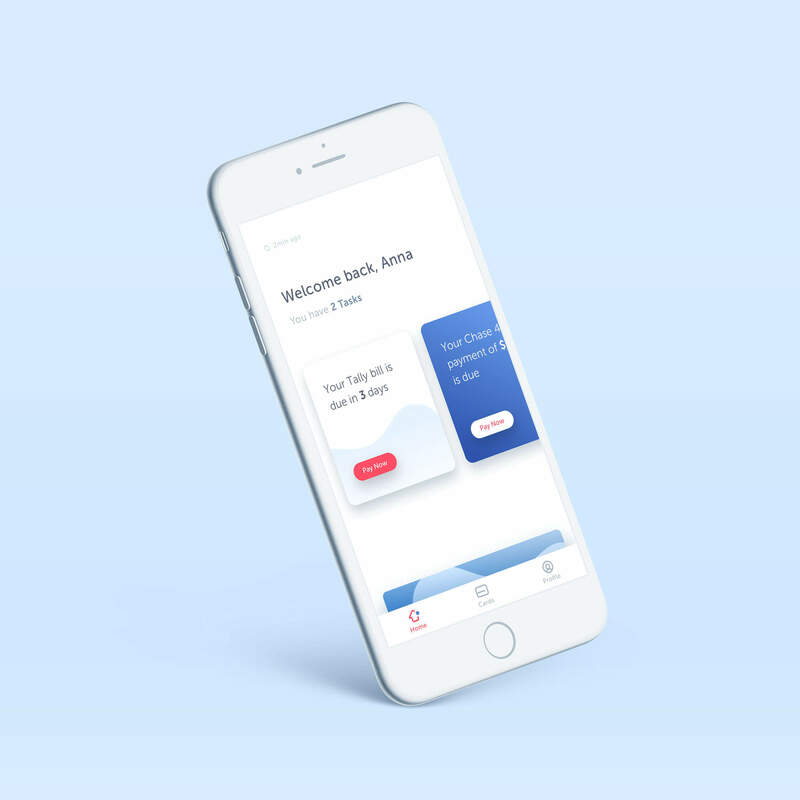 By borrowing money from banks in bulk, Tally can "pass savings on to our users that wouldn't typically be available to them," says CEO Jason Brown. He co-founded the company with Jasper Platz in 2015 and together, the entrepreneurs have raised $42 million in funding. The app is free to download and makes money like a typical credit card company does: by charging interest. But that amount is guaranteed to be less than what you would pay your credit card, so Tally only makes money if it saves you money with a lower APR. Tally also automatically sends payments for you, meaning you'll never have to worry about late fees. That's the benefit for consumers who don't carry a credit card balance: If you have trouble keeping track of several credit cards and find yourself paying late fees, Tally will manage them for you by automatically paying your bills. The goal is to separate the burden of credit cards from the benefits, says Brown: Consumers still get the rewards that come with using credit cards, but they don't have to worry about payments, late fees and penalties. Since officially bringing the app to the public in October 2017, "we've already saved millions of dollars for customers," Brown tells CNBC Make It. And he hopes the latest feature, Tally Advisor, will help debt-ridden consumers even more. Tally Advisor, which launched in August 2018, is an automated debt manager that determines the fastest way to pay down your debt and takes action for you. Brown compares it to a robo-advisor but, instead of managing your investment portfolio, it manages your debt. "Robo-advisors have become increasingly popular for the ease and simplicity they bring to managing your investment portfolio through automation," Brown writes in a press release. "When we started Tally, we wanted to bring a similar value to a broader range of people who are dealing with the most widespread financial issue today: credit card debt." That's why the CEO likes to call it a "robo-advisor for the 99 percent," he tells CNBC Make It. While a robo-advisor will ask you when you want to retire, Tally Advisor asks you when you want to be debt-free. Based on your goal, income and monthly spending, it sets a realistic end date and then helps you get out of debt by determining the optimum amount to pay each month. Tally's algorithm constantly factors in new information and adjusts to your real time financial situation. "In addition to your goals, we take into account financial setbacks and increased cash flow," says Brown. "This is a key differentiator from traditional autopay, which is restricted to a fixed amount every month." Currently, Tally Advisor will only benefit those with debt. Brown hopes to eventually bring automation to every aspect of your financial life with Tally, but for now, "we're starting with the widest problem: debt." Since Tally built its technology and financial infrastructure from the ground up, it has to get licensed state by state. It's currently available in 16 states: Arkansas, California, Colorado, Florida, Illinois, Louisiana, Massachusetts, Michigan, Minnesota, New Jersey, New York, Ohio, Texas, Utah, Washington and Wisconsin. But Brown expects the app to be available to the entire U.S. population by the end of the year.